Cats that are adopted from a rescue centre are often easy to look after and need little in the way of special attention. Two things, however, that are very important for a rescue cat are microchipping and neutering. This gives peace of mind as well as being an important part of responsible pet ownership. Microchips are a recent innovation and are an important way of finding and tracing lost animals. This is particularly important with adopted cats as they may stray and get lost in unfamiliar surroundings. A microchip is the size of a grain of rice and is inserted between a cat's shoulder blades. Cats are typically unaware that the chip is fitted, although they may jump when it is being inserted. The microchip holds a unique reference number that can be read by a scanner and matched to information on a central database. When a stray cat is found, one of the first things that will happen will be for the cat to be scanned. If he is fitted with a microchip he will soon be reunited with his family. The microchipping of pets is essential for families who are looking to take their pets abroad. Many animal welfare organizations make the microchipping of cats a requirement of adoption. Some centres will have the pets that they rehome registered to them. This means that they will be advised first if a pet cat is found. It may be possible to have the ownership details transferred, however this will need to be discussed with the centre concerned. Most rescue centres will neuter cats before they are rehomed. This is an essential part of pet ownership. If a cat is too young to be neutered before it leaves the centre, then advice will be given as to the best time to neuter the cat. 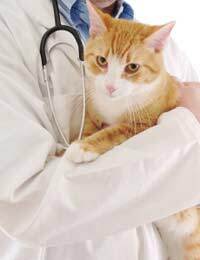 A vet will neuter both female and male cats and the process is very straight forward. Male cats make better pets when neutered – they are not so inclined to mark their territory with urine. Neutered cats are less likely to wander looking for mates. This reduces the risk of them getting lost or injured by traffic. Both male and female cats often integrate better with other cats and pets when neutered. Occasionally animal welfare organisations offer financial help or special prices to encourage people to have their pets microchipped and neutered. These initiatives are run through local vets and animal rescue centres. The events are usually advertised locally in the press, vets and pet shops. Ensuring that a new pet is microchipped and neutered is an important part of the adoption process.